Flying. The word conjures up different emotions for different people; for some it is fear and dread, for others, pure exhilaration. More recently, my experience was closer to one of endless possibility. Two years ago my wife, Bianca, and I went on a month long adventure in Thailand and Laos. It was a much needed break; the perfect balance of adventure, cultural experience and relaxation. However, the tranquil beaches and breathtaking jungles became a distant memory soon after arriving at Suvarnabhumi International Airport for our flight home. To put the experience into context, our flight was leaving at 1:20am. We hadn’t even got near the check in counters, however, before overhearing that the flight had been cancelled: ‘engine trouble’. Oh dear. We were then shipped off to magnificent hotel and had a comfortable 24hr wait until the next flight, which, as it transpired, was at 1:20am. Splendid. A full day later, with our domestic flights in South Africa forfeited, yet full of exuberance, we headed back to Suvarnabhumi – once more into the breach dear wife. After fighting to get onto the next overbooked 1:20am flight we finally headed off to the exceedingly long customs queue. Still, filled with a growing yearning for home, we pressed on. Nonetheless, we were stopped in our tracks when the official told us we had overstayed our 30 day visa after being in the country for 25 days. This anomaly was explained by an unfortunate technicality that occurs when crossing into Thailand from Laos. We were now to be fined the equivalent of R1500. Now I must admit that, by this stage in the holiday, we were so broke that we could not even afford to pay attention. We were ushered aside and our passports and boarding passes were confiscated. Hope of home was dashed and the tears came pouring down Bianca’s well-tanned cheeks. The presence of genuine sobs, however, earned us some sympathy with one particular official, who incidentally, was the reason we made it onto the plane in the end. 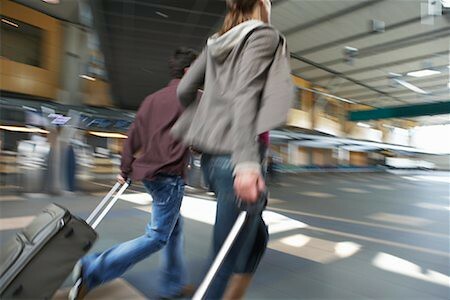 The details of these events are much too convoluted to expound here, suffice to say that money was exchanged, exchanged again, 700m of airport terminal was sprinted and two exhausted travelers boarded the plane for the walk of shame; the plane had been waiting for a certain two passengers for over half an hour. We slumped into our seats; exhausted but triumphant, yet with little knowledge of what was to still unfold. It so happened that we ended up in an emergency row which was a welcome relief. The person we were sitting next to was asked by the airhost to put his leather satchel into the overhead compartment. At the thought of this he suspiciously clung to the satchel and it took a good dose of motivation from the kind airhost to hand it over. My wife looked at me with a circumspect guise which I readily returned. Still, it was well past any reasonable hour to be awake and so we both quickly nodded off. About three hours into the flight, my wife was woken by a commotion at the back of the plane and noticed that our satchel-clinging companion was no longer at our side. When breakfast was served we gathered that during the night, someone had come straight for our overhead compartment, taken out the precious leather satchel and looted it in the nearby toilet – only to be caught red-handed by the same airhost who had insisted the satchel be stowed! The satchel apparently contained a formidable wad of US Dollars. 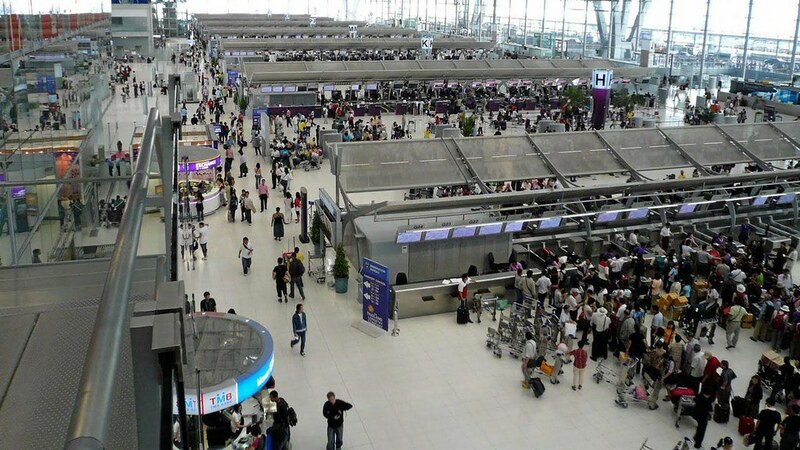 We later found out that there are air-thief cartels that are particularly active on the Bangkok routes and often have specific people they are targeting. This flying experience had come a little too close to the movies. After landing in Nairobi en route to Johannesburg, the plane was grounded for some time while the Kenyan Police escorted the thief and the victim of the crime off the plane. The final leg of the flight was rather uneventful except that, after chatting to an airhost about the events of the previous leg, he let it slip that the thief had an accomplice who they were unable to identify. Accordingly, when we finally arrived we were especially grateful to be back on South African soil with all of our belongings intact. The poet Ralph Waldo Emerson, said, “Life is a journey, not a destination”. It is helpful to keep this axiom in mind when flying and things don’t go according to plan. Indeed, flying should be embraced as part of the travel experience and not just seen a means to a destination. 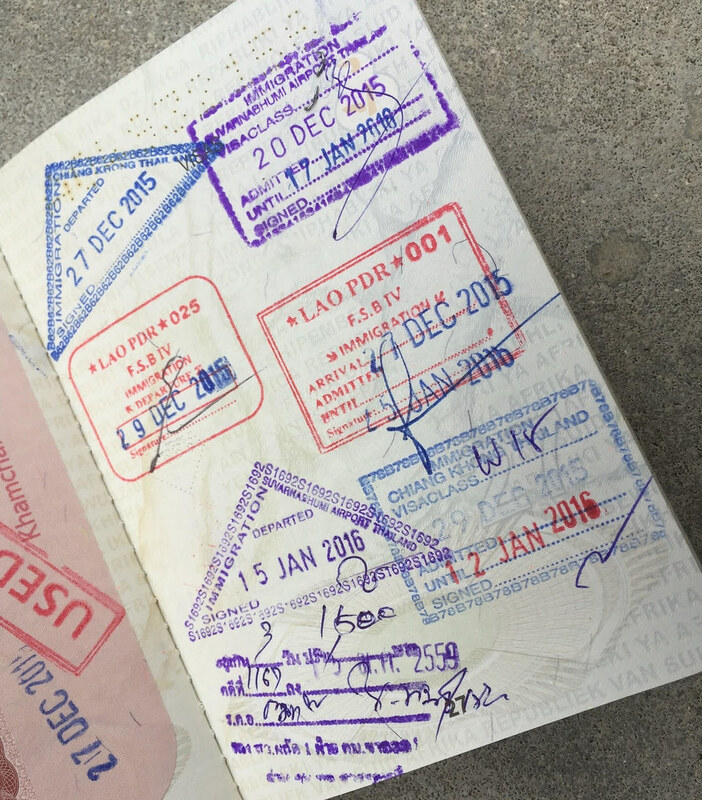 Always check the date of immigration or visa stamps. Always. Wear comfortable running shoes whilst flying – they are practical and may serve you well. Keep local currency on hand until you go through immigration and rather spend/exchange it in the duty free area. Be willing to smile or weep at immigration counters – whichever one the context requires. You may be sitting close to someone who wants to rob you while you sleep so beware of your earthly treasures. George is a raw and wild adventureman. He’s married to Bianca, his travel buddy par excellence. He’s a South African who is especially grateful for the 1000s of kilometers of rugged, beautiful coastline. As a busy pastor on the North Coast of KZN, his favourite things to do to take a break involve the ocean: spearfishing, paddle-ski fishing and surfing. His passion for local and regional travel started as a student when he guided overland camping adventures to Botswana, Zambia and Zimbabwe. Though much of his adventures to date have mostly been in Africa and the East, his dream destinations are certainly the far-flung islands of the pacific where the sea turns purple-clean and the fish grow big! He enjoys engaging with local cultures and cuisines; cheap local street foods that don’t check one box on the health and safety register are the ultimate!